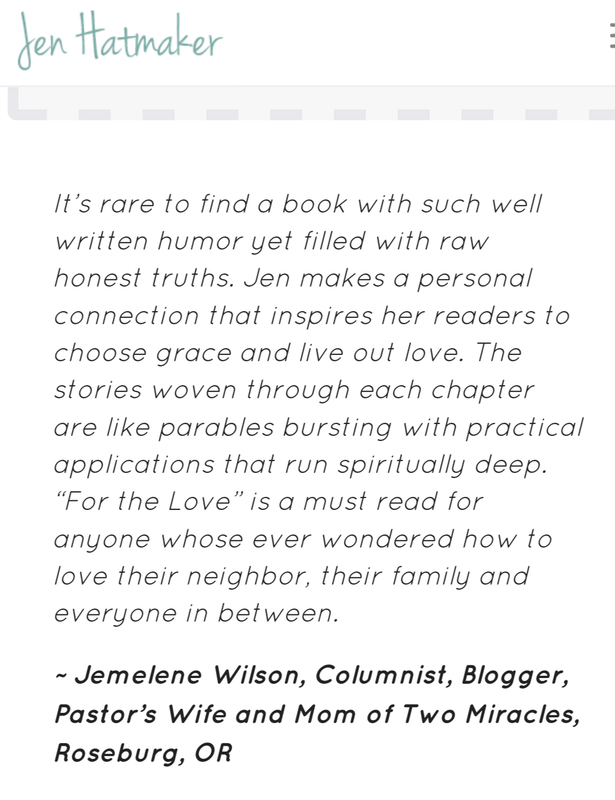 Sometime in the early spring I happened to be online when an invitation went out to be part of a launch team for the latest book by Jen Hatmaker. 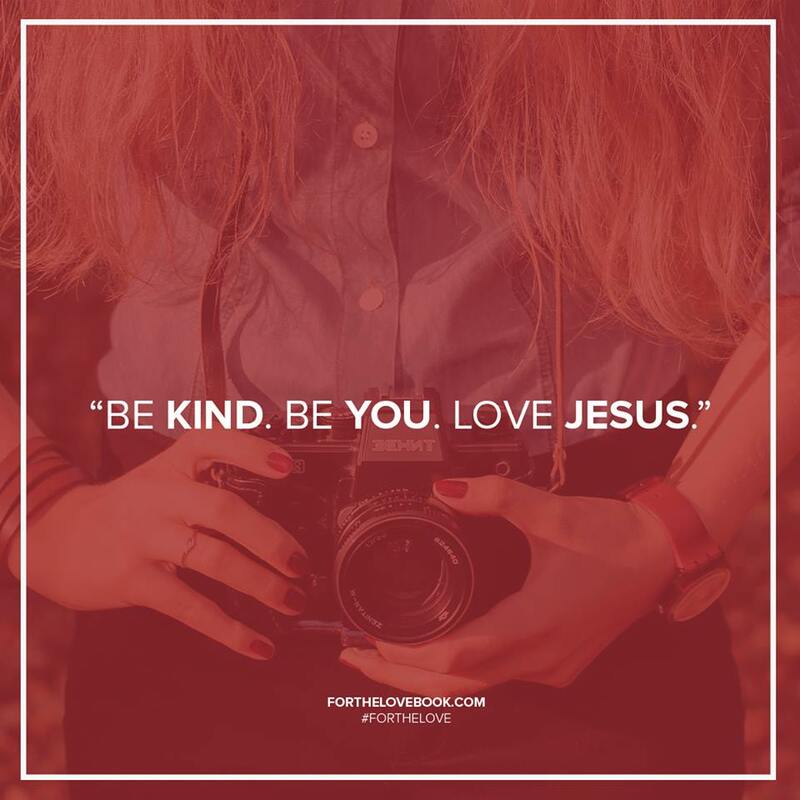 For the Love: Fighting for Grace in a world of impossible standards. I was introduced to Jen a few years ago and have often been changed by her words. Her blog is full of her humor and wit in the middle of her raw stories of grace. By her real life examples she has shown me what it really means to touch others the way Jesus touched us. Jen has also been a keynote speaker for IF:Gathering both years. I’ve listened to her teachings over and over with fresh meaning each time. I would share her teachings with no hesitation whatsoever. 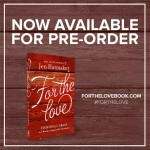 Being part of the For the Love Launch team to me meant getting her book early and I’ll admit, a complimentary copy isn’t a bad carrot to dangle in front of this girl’s face. What I didn’t realize I’d be getting was a new community full of like minded woman who lift up and challenge each other daily. We all had a chance to write an endorsement. Although mine won’t be inside the book, they generously posted each one on the website. Here’s mine! In August you’ll be able to get your hands on For the Love but you don’t have to wait to pre-order it! If you pre-order now you’ll qualify for some bonus goodies as well. 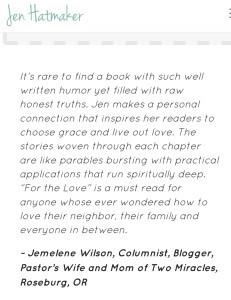 During launch week I’ll be allowed to post my actual book review but for now I’ll just tell you there is something for everyone including freedom, grace and insight!